In a press release as well as a trailer, publisher PQube has announced that they will be bringing visual novel Our World is Ended to the west. Originally released in Japan on PS Vita in 2017 by Red Entertainment, PQube will be localizing the game on PC, PS4, and Nintendo Switch, set for release in 2019. The story of Our World is Ended is centered around a game development team called Judgement 7, developing a game for high-tech augmented reality headsets. Things go wrong when the AR headset begins showing a destroyed city landscape that none of them had programmed or animated. From there, monsters and phenomena from the AR games begin to manifest in the world, and the team needs to figure out how to return their home of Asakusa to normal. 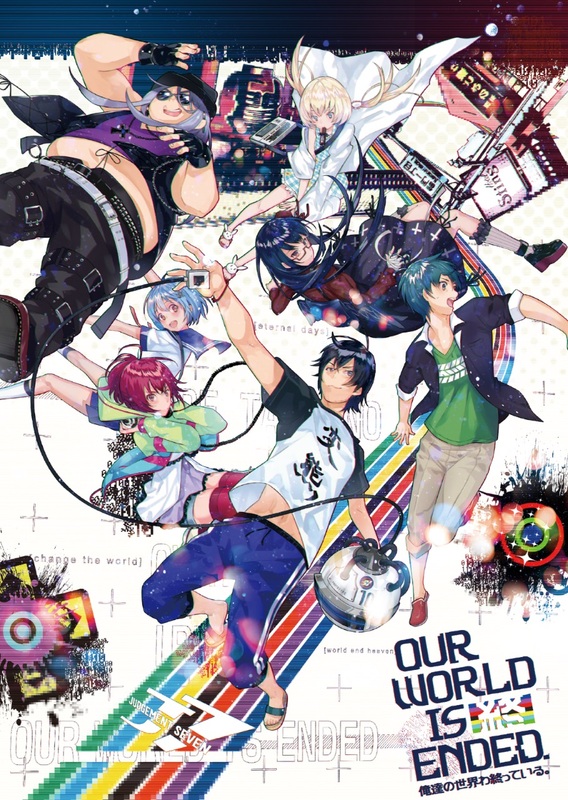 According to PQube’s press release, Our World is Ended is set in a faithful recreation of Tokyo and its Asakusa district, and features the Selection of Soul (SOS) system, allowing players who react quickly enough to briefly see how different choices may influence the story. The story itself is apparently roughly 40 hours long.